Happy Halloween! Join us as we celebrate the spookiest month with lots of Halloween events, including the brand-new Madhouse dungeon! Explore a creepy mental hospital, deciphering clues and looking for an escape. This season you can also become a zombie, paint a ghost, and dance the night away in Star Planet. Kanna and Hayato will be making a return, complete with new skills and enhanced combat options! 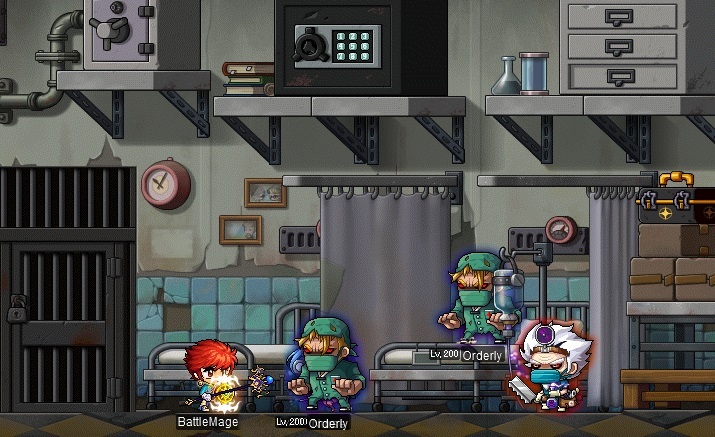 Then, get ready for a purge as millions of inactive character names are freed up in MapleStory’s first character name change event. All this and more, in the Asylum update! One of your childhood friends has been sent away to a mental hospital. When you and a group of friends decide to visit her, you find yourselves locked in! Explore multiple rooms in the mysterious building, collecting clues that will reveal the truth about the hospital. Each room is a puzzle that must be solved within the time limit in order for you to exit. Keep your flashlight close and avoid powerful monsters lurking in the darkened corridors! The zombies are coming! Become infected with the Zombie Virus to transform into one of four types of zombie—infecting others as you go. Help Witch Malady collect ingredients for her creepy recipes. She’ll make some for you too! Return Olivia to her family by fighting your way through the Haunted House. Collect ghostly paint to decorate the little ghost kid, Gamsper. 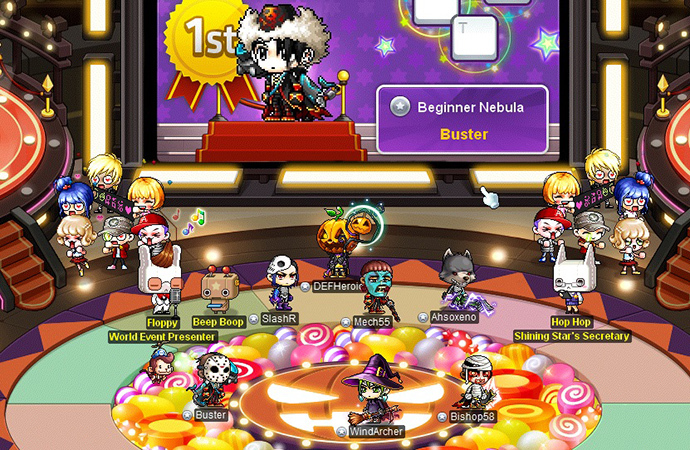 Even Star Planet will get into the spooky spirit, with free Halloween costumes and a Halloween Dance Party! Kanna and Hayato will once again be available for character creation! Both of these jobs are being overhauled, giving Kanna improved mana efficiency and some new skills. Use a new passive Hyper Skill to increase your maximum mana amount! Hayato is receiving a new combo system and increased attack power. Hayato is also gaining an additional stance! Depending on if you use the basic stance or the new Quick Draw stance, you’ll have access to different skills and stat bonuses. 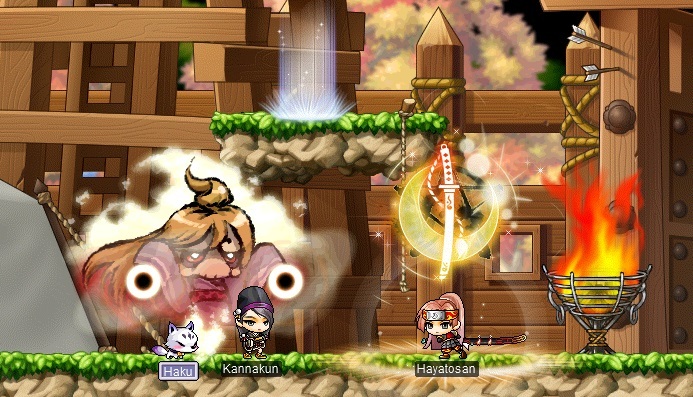 Over MapleStory’s 10-year history, millions of characters have been created. Many of these characters are no longer played, but the names remain, making it hard for new players to find a meaningful name. We will be changing the names of inactive characters to numerals, thereby freeing up millions of names. 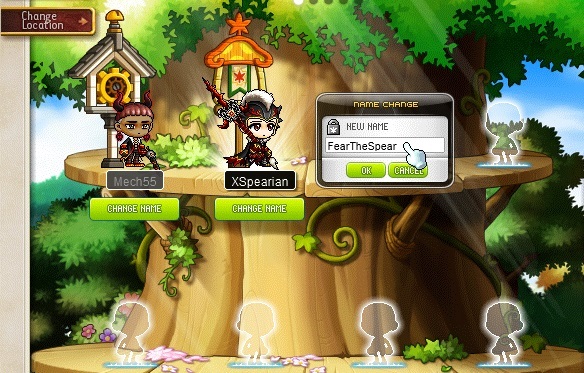 You will be able to change the names of one character per world on your account for free!